Scroll for photos, press releases and banquet excerpts. The Carbon County Area Hall of Fame banquet was held Sunday, May 29 at Memorial Hall in Jim Thorpe. Palmerton - John Kleintop, Ted Plessl and Mike Dakan. Lehighton - Jim Remaley, Monroe Berger and Rick Stroup. Nesquehoning - Gary Barna, Nicole Hackenberg and Erick Hackenberg. Lansford - Joseph Jaso, Donnie Fredericks and Ed Shubeck. Jim Thorpe - Terry McElmoyle, Tricia McElmoyle and Farley Foster. Summit Hill - Trevor Lawrence Jr., Tom Bonner and Dave Evans. Coadale - Allysa Vavra, Joseph Holubek and Joe Terry. Tamaqua - Bob Schlosser, Aaron Frantz and Bill Sakusky. Following are members of the 2016 Coaldale Hall of Fame class. 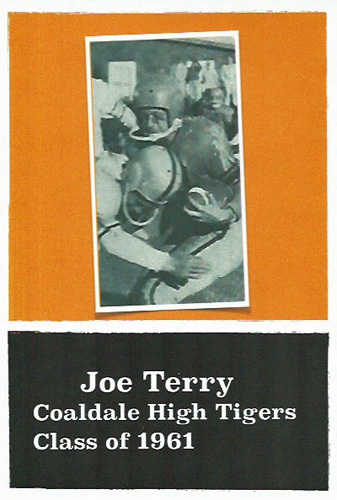 Joe Terry combined speed power, and elusiveness in crafting his three-sport career for the Coaldale Tigers from 1957-1961. He earned a total of 11 letters, three as a halfback and defensive back in football, four as a basketball guard, and four for the track and field squad in javelin and running events. Master of the “big play” in football, Joe’s long runs delighted and excited Coaldale fans. One of his most memorable runs occurred in the 1960 opener, when he ran 72 yards to set up a fourth-quarter touchdown that ignited Coaldale to beat McAdoo, 13-0, for its first victory in two years. Many fans look at that run as the spark that rejuvenated the Coaldale football program under Geno Poli and Tom Raymer. Following his senior football season, Joe was selected to play in the Schuylkill County Dream Game. 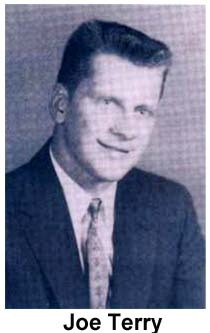 Joe, a dependable guard for the Tigers’ basketball team, helped the charges of Coach George Greiner clinch the second-half title in the 1960 Black Diamond League. As a freshman, Joe participated in the Penn Relays as a member of the Tigers’ mile relay team, and he went on to earn medals over the next three years in the javelin, 880, and mile events at the District 11 and Southern Conference track meets. 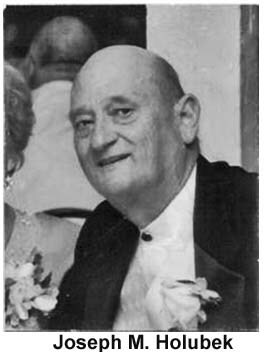 An avid hunter and fisherman, Joe was an employee for Bethlehem Steel Company, from which he retired in 1993. Joe and his wife, Marie Smolar of Tamaqua, have four children: Joseph, Michael, Pamela, and Dorrine. A native of Coaldale, Joseph graduated from Marian High School in 1959 after having played four years of basketball and baseball for the Colts. In baseball, he was one of the leading hitters for Coach Hugh “Wink” Gallagher and helped establish Marian’s successful program. 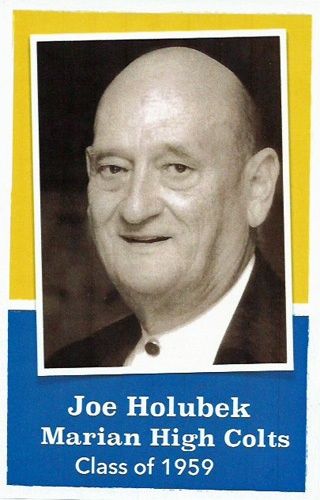 In basketball, Joe was a two-year varsity starter and was the leading scorer on the 1958-59 Anthracite Catholic League championship team, which became the first team in Marian history to win a championship. Joe scored 747 points in his two years as a varsity starter and averaged 24.7 points per game in his senior year. His achievements earned him a selection on the All State Basketball Team in 1959, and was chosen to participate in the Carbon-Schuylkill All Star Game. After graduation, Joe went on to play basketball at Elizabethtown College before attending Thaddeus Stevens Technical School, Lancaster, where he was a three-year starter. His teams were 10-4, 11-3, and 14-0. In his final season, he led the team in scoring and was named the college’s Athlete of the Year. Joe was inducted into the Marian High School Athletics Hall of Fame in 2006 and the Thaddeus Stevens College Athletic Hall of Fame in 2008. All-American, Big Ten Swimmer of the Year, and Pan American Games medalist are just some of the terms that describe Coaldale’s world-class swimmer, Alyssa M. Vavra. Before graduating as the valedictorian of the Panther Valley High School Class of 2008, Alyssa was named a High School All-American swimmer 17 times by the National Club Swimming Association. While in high school, she won five PIAA state championships and was the runner-up three times. She was the District 11 champ on 16 occasions and currently holds the records for the 200 individual medley and 100 meter breast-stroke events. The Times News chose her as Swimming Athlete of the Year four times. She was an eight-time individual champ in the Schuylkill League, and was honored as a member of the All-Schuylkill League team, the PIAA Swimmer of the Meet in 2007, and the Blue Ridge Cable Athlete of the Season. 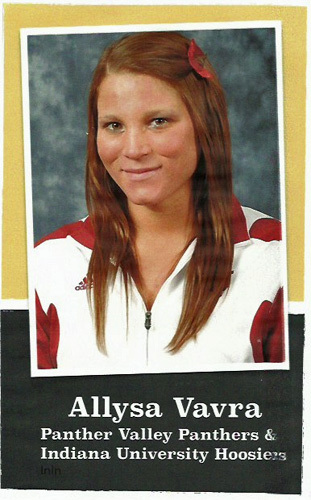 During her career at the University of Indiana, Alyssa was named a College All-American on seven occasions by the NCAA. As a Hoosier, she was a five-time Big Ten individual champion and was named All Big Ten First Team in 2010, 2011, and 2012. She was a top-eight finisher at the NCAA National Swimming Championships in 2010, 2011, and 2012. In 2012, she was chosen as the Swimmer of the Meet at the Big 10 Championships, the Big 10 Swimmer of the Year, and the Indiana University Athlete of the Year. She established Big Ten records in both the 200 and 400 meter IMs. Alyssa also competed and succeeded in national level events. In 2008, she qualified in six events at the U.S. Olympic trials. In 2011, she qualified for both the USA National Team and the USA Pan American Team, won the bronze medal in the 400 meter IM at the Pan American Games, and earned a top-20 world ranking in the 400 IM. In 2012, she qualified for the USA National Team, qualified in six Olympic events, and earned a ninth place in the 400 IM at the U.S. Olympic Trials. 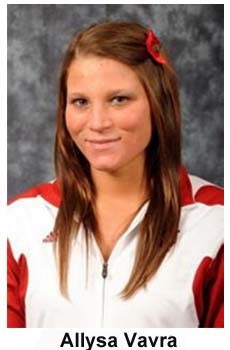 Alyssa graduated from Indiana University in 2012 with a B.A. in Biology. She currently works at St. Christopher’s Hospital for Children in Philadelphia and plans to attend medical school.